It’s hard to believe it’s been 26 years since Shawn Michaels shocked the world of professional wrestling when he viciously attacked his former tag partner, Marty Jannetty, in what has forever been known as The Barbershop Incident! 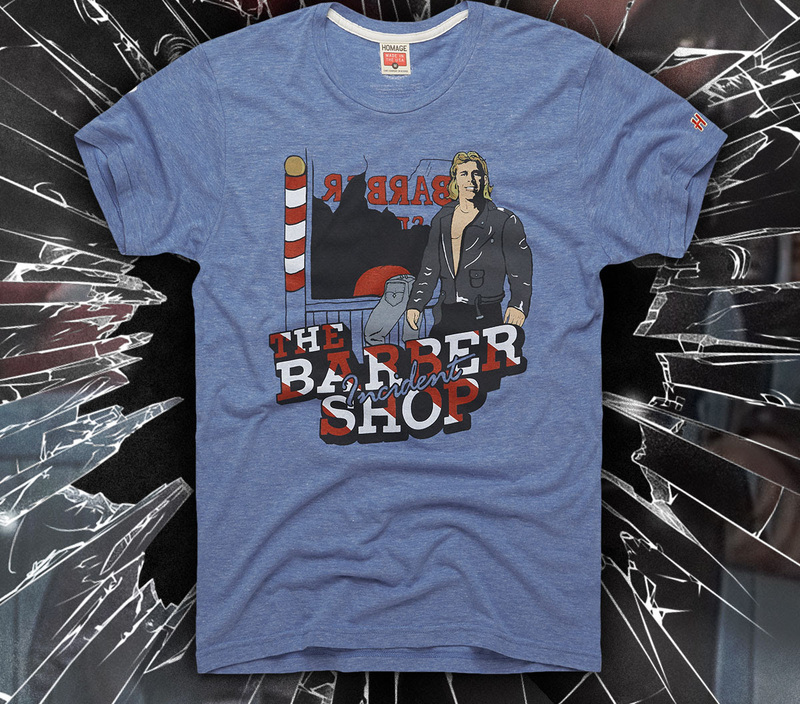 What seemed to be an anticipated reunion of The Rockers in the WWE during an interview on Brutus “The Barber” Beefcake’s Barbershop segment ended when Michaels threw Jannetty through the barbershop window, leaving his former friend battered and bloodied. A defiant Michaels looked in the camera, tore a photo of the team apart, and cemented his path as a singles wrestler. The era of The Heartbreak Kid was about to begin and the WWE would never be the same again! 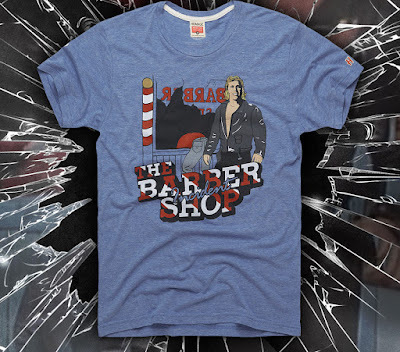 To commemorate this iconic moment in WWE history, HOMAGE has released this officially licensed The Barber Shop Incident t-shirt featuring “The Boy Toy” HBK and the back half of Marty Jannetty. Printed on a light blue tee, this fun new design is available now, in sizes S-3XL, at the HOMAGE online store for $32.